We have all heard the phrase, “Keep Your Head Down!” Some people might say, “Keep your eye on the ball.” They say this so we do not top the golf ball. It is one of the five old wives’ tales of golf. In fact, it is the NUMBER ONE Old Wives’ Tale. It won’t help you stop topping the ball. What is the challenge? If you look at the top of the golf ball, you will most likely hit the top of the golf ball. Look at the photo above. I have placed some golf tees behind the ball. If I look at the top of the golf ball, I will hit the top of the golf ball when I swing down. The tees on the ground will not move and the ball will not go get airborne. Basically, I will top the ball. How do you fix this? Place a group of tees on the ground about 3-5 inches behind the ball, as I’ve done in the photo below. 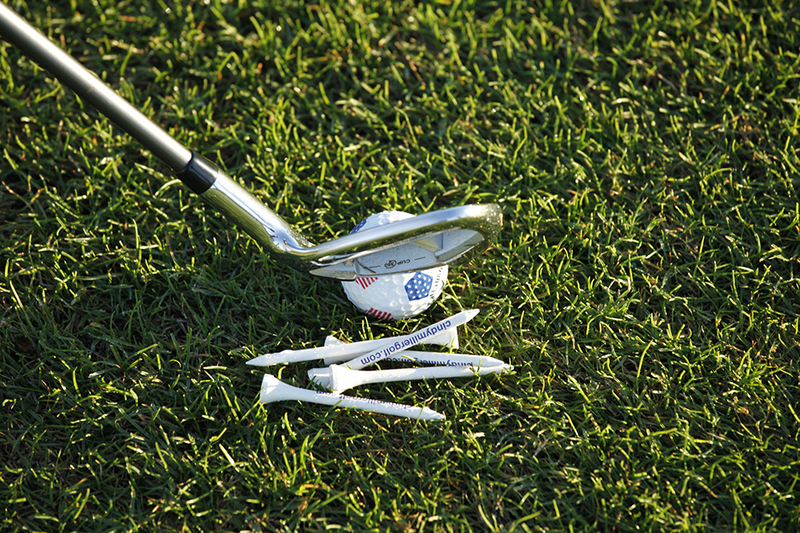 Place your club head behind the pile of tees. It will seem strange starting the club head way behind the ball. 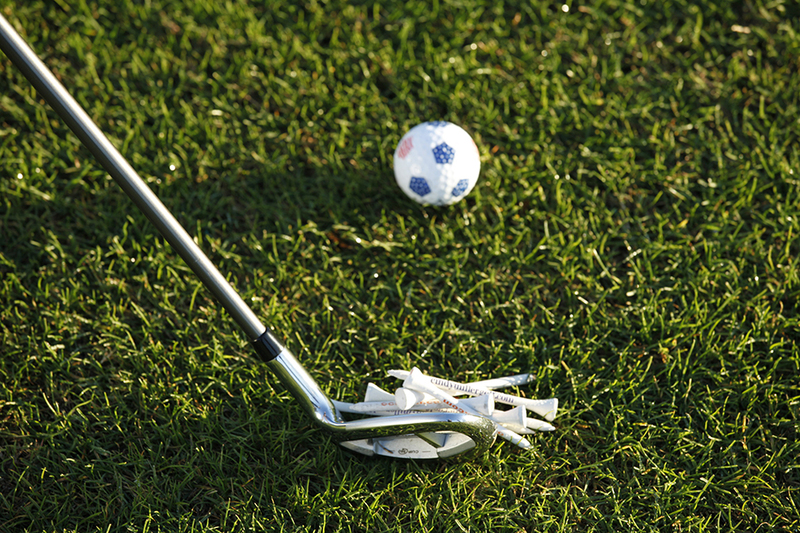 Swing the club head and be sure to BRUSH the grass behind the ball, sweeping up all the tees behind the ball. I guarantee if you do this, you will never top a shot again. Cindy Miller is 2010 LPGA National Teacher of the Year, three-time LPGA Northeast Teacher of the Year, 2001, 2005, 2010 and a former LPGA Tour Player.